Wheatbelt farmers Kath and John Cousins want to leave a legacy for their children that isn’t a landscape of salt. The family has a goal to plant out half of property they own at Kondut, north west of Wongan Hills, to trees. They are among a number of landholders living in the Wongan Hills, Westonia and Dale Ecoscapes now able to apply for free trees through the Avon Catchment Council. Ecoscapes have been identified as areas rich in native plants and animals and are given priority investment by the ACC. “Part of our responsibility as landowners is to create a better balance by planting trees,” Kath Cousins said. “We already grow oil mallees because they have such a terrific survival rate and we have a goal to plant about 10,000 trees each year. “This is a fantastic program because we have access to more tree species and there will be someone on hand to come out and give us advice on where to plant.” Trees available through the program include sandalwood hosts, brushwood and oil mallees. The ACC’s Rebecca Palumbo says it’s a great opportunity for farmers to diversify into tree cropping. “Farmers can also use this as an opportunity to try tree cropping with the idea of creating an alternative income, as well as making significant improvements to these Ecoscapes,” Rebecca Palumbo said. The number of trees farmers can access will depend on their property’s average annual rainfall and soil types. The deadline for expressions of interest is March 23rd 2009. The funding is from both the state and Australian governments and is worth $100,000. Guidelines and application form are available on the ACC website www.avonnrm.org.au Media contact: Rebecca Palumbo, Avon Catchment Council, 9690 2250. 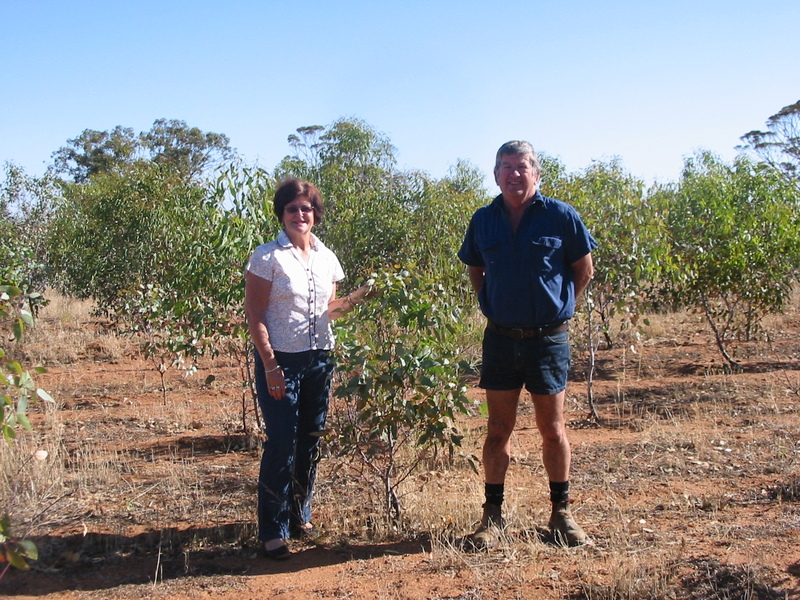 Caption: Kath and John Cousins have a goal to plant out half their Kondut property to trees.